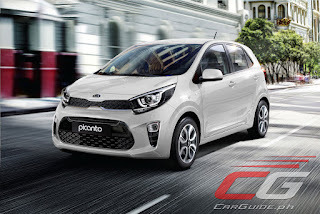 Along with the first-ever 2019 Kia Soluto, the newly-appointed Kia distributor in the Philippines, AC Industrials introduced revamped versions of the Picanto, Sportage, Sorento, and Grand Carnival that brings added features and better pricing compared to before. First up is the 2019 Picanto which is now made available once more in both 1.0-liter and 1.2-liter flavors. Starting at P 590,000 and topping out at P 745,000, under AC Industrials, Kia’s diminutive hatchback comes in 2 trim levels with 2 variants each. Compared to before, the Picanto can now be had with dual SRS airbags, anti-lock brakes, and even a 7-inch touchscreen infotainment with Apple CarPlay and Android Auto. 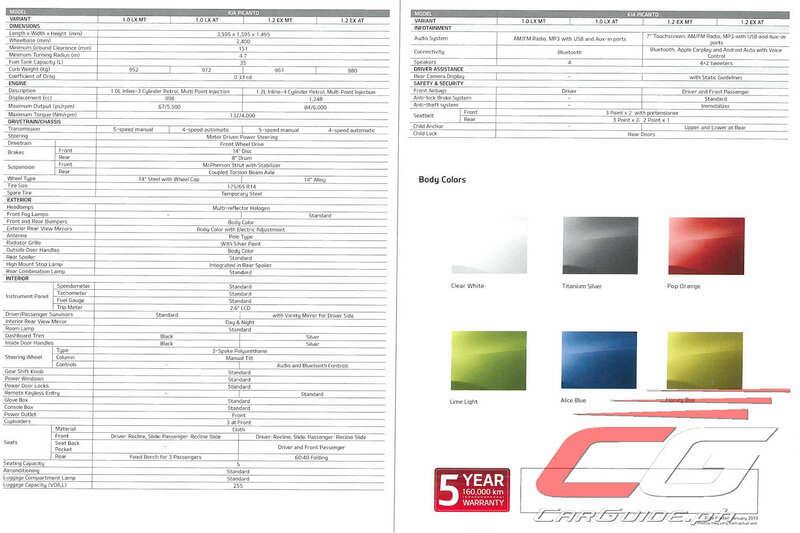 Next, is the Sportage compact crossover which starts at P 1,545,000 and tops out at P 1,820,000 (for the diesel models). Aside from the refreshed styling, the Sportage sees a massive increase in equipment, particularly the EX variant. This model now gets niceties such as LED headlights, 19-inch alloy wheels, power front seats, dual-zone climate control with rear A/C vents, and an 8-inch touchscreen infotainment system with Apple CarPlay and Android Auto. 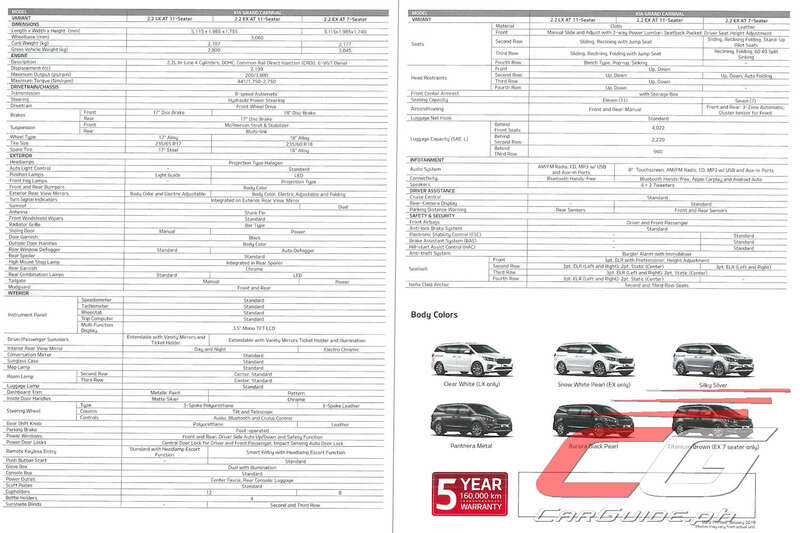 Six airbags, ABS with EBD, and stability control is also standard on the EX. 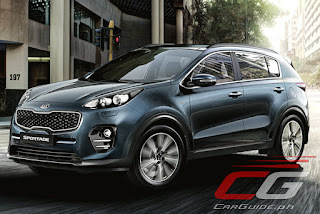 Engine-wise, the Sportage continues with a choice between a 2.0-liter gasoline or 2.0-liter diesel engine. 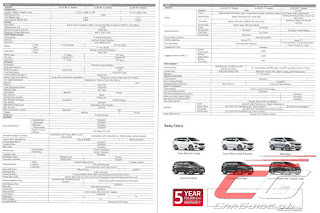 The third model introduced is the mid-sized Sorento SUV which starts at P 1,895,000 and goes up to P 2,195,000. Available in both front- and all-wheel drive flavors, the Sorento sports a 2.2-liter CRDi engine making 200 horsepower and 441 Nm of torque. This year, dual SRS airbags become standard as do ABS with EBD, and electronic stability control. The 4WD variant also comes with LED headlights, a push-button start/stop, leather seats, and powered driver’s seats. 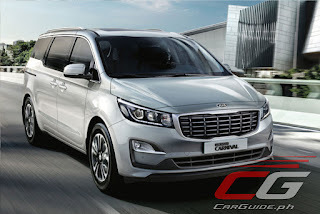 Finally, there’s the Kia Grand Carnival that’s priced at P 1,995,000 to P 2,295,000. 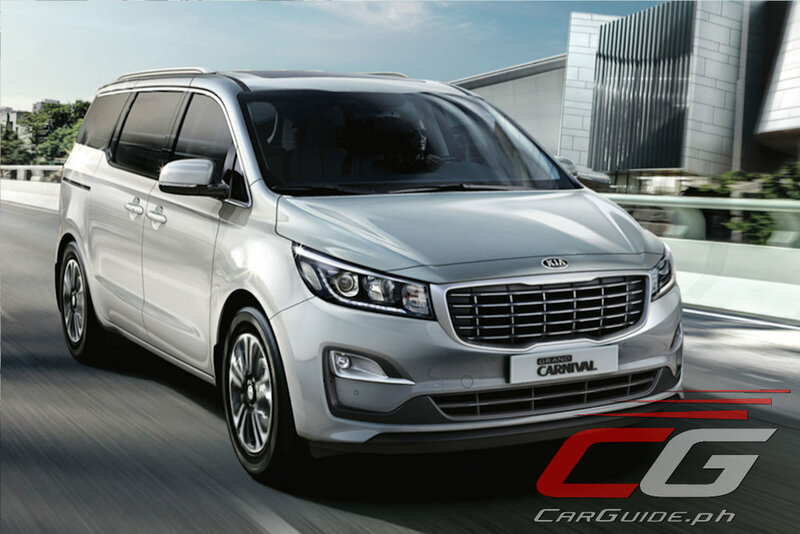 This American-style MPV shares the same engine and transmission as the Sorento while also getting a minor nip-and-tuck for 2019. 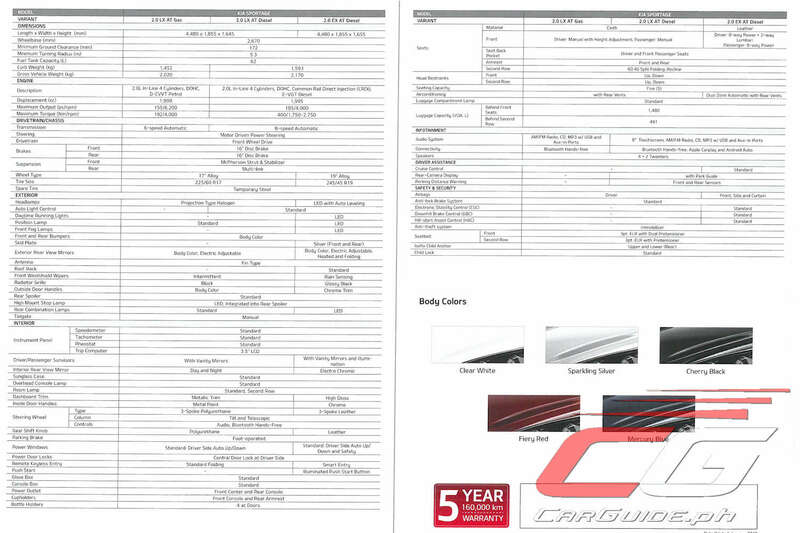 While the LX model remains speced for value, the EX variant, particularly the 7-seater model is quite luxurious. 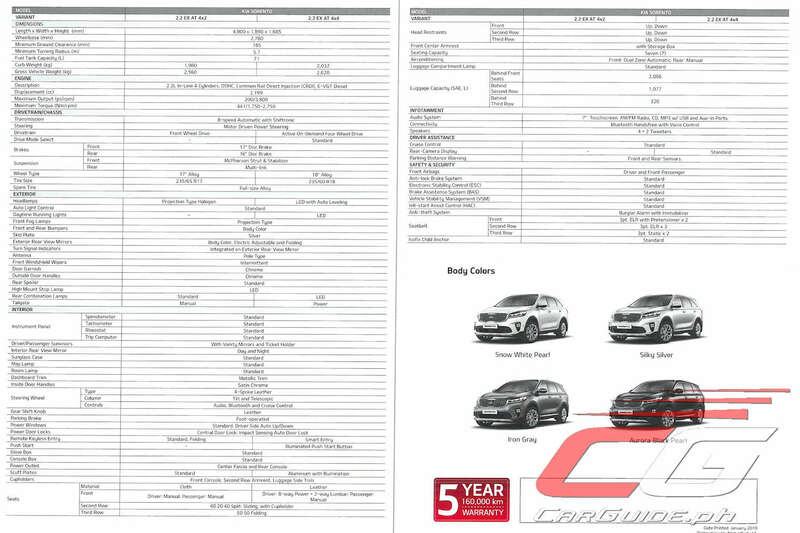 It has a dual sunroof, power sliding doors and tailgate, push-button start/stop, leather seating, a 3-zone climate control system, and of course, an 8-inch infotainment system with Apple CarPlay and Android Auto. 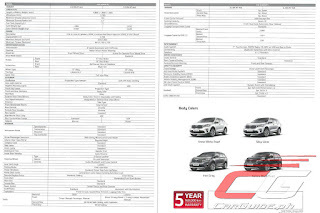 All of these Kia vehicles continue to have a comprehensive warranty coverage. Aside from the 5 years or 160,000-km general warranty, whichever comes first, Kia Philippines also offers five years or 150,000-km warranty for anti-perforation and paint. Service parts’ warranty is one year or 20,000 kilometers, whichever comes first. The periodic maintenance service (PMS) interval schedule for these models is every six months, or every 5,000 kilometers, whichever comes first. 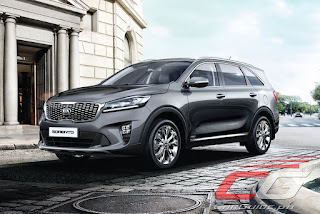 Kia Philippines also aims to establish more dealers in strategic locations. 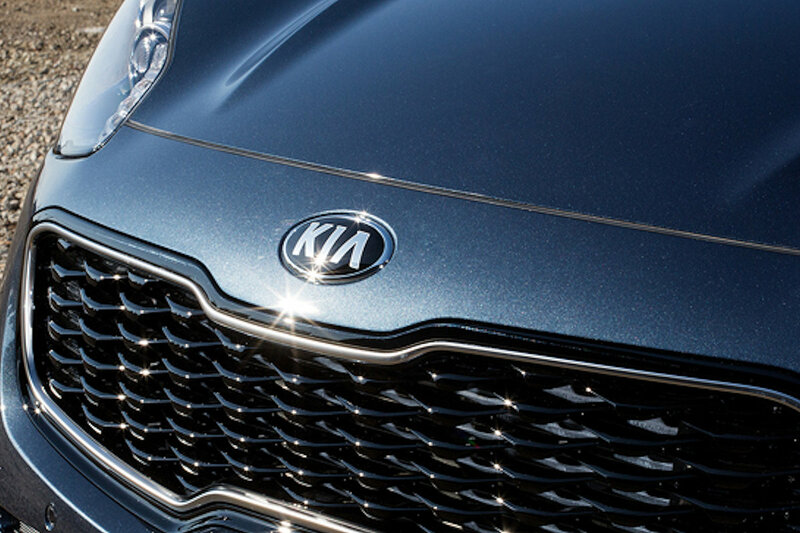 Kia has, at present, a network of over 35 dealerships in the country. I hope Ayala Corporation would take over Hyundai as well, because the prices of Kia cars are around 100,000 pesos less compared to their counterparts in Hyundai. I totally agree on that. The current head of HARI doesn't even understand of how the customers are being angry because of how HARI treats their customers by offering less features (Accent for example). Hopefully Ayala should also acquire Hyundai next.